Hulu apparently has yet another suitor. According to an AllThingsD report, AT&T(s) is in discussions with the Chernin Group about a joint bid on the online TV portal — they figure their combined financial might can meet Hulu’s high asking price. Why would AT&T, a mobile and wireline phone company, be interested in an online video portal? Through its U-Verse service, AT&T is a video-programming provider selling the equivalent of cable TV to 4.8 million households. It could be interested in Hulu for the same reasons as Time Warner Cable(s twc) and DirecTV(s dtv) are, to bulk up their TV everywhere services. 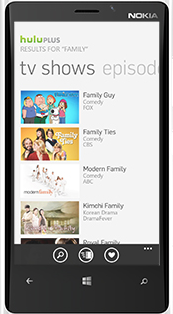 But AT&T’s interest in Hulu might stem from much more unexpected place: its mobile division. Video is proving to a very tricky proposition for mobile operators. On the one hand, they’ve built these big fat wireless pipes to carry video, but on the other, they’re still charging per-megabyte rates that makes large-scale video usage prohibitive. Video usage is booming on mobile devices, but for the large part it occurs at home on Wi-Fi not on 3G and 4G networks. We’re seeing some content provider-carrier deals harking back to the old days of walled garden, for instance Verizon’s(s vz)(s vod) exclusive agreement with the NFL to stream all of its games. But I don’t think AT&T is angling to become the exclusive mobile carrier for Hulu – no one would agree to such terms no matter how big AT&T’s investment. AT&T, however, is keen on testing out the toll-free mobile data business model its been touting for a year, and Hulu would be the perfect guinea pig. The idea is simple: consumers are unwilling to pay the massive mobile data fees required to view lots of mobile video, so carriers would charge the content providers instead. AT&T and Verizon have been promoting this idea of subsidized mobile internet vocally, and entertainment companies like ESPN are reportedly amenable to the idea. (s dis) But so far there haven’t been any takers. By investing in Hulu, AT&T could get one of the world’s most popular online video providers to at least test out its two-sided revenue model. Hulu would pay AT&T for every megabyte of its video traffic traversing Ma Bell’s mobile networks, and AT&T would exempt all Hulu programming from its customers’ data caps. Financially that seems like robbing Peter to Paul – Any revenue AT&T collects means fewer returns on it Hulu investment. But the deal could have enormous strategic value to both companies. AT&T customers, suddenly finding themselves free to watch CSI:Miami with no restrictions, would start gravitating toward the Hulu service and its subscription fees. AT&T rakes in the data revenue no matter what, and given Hulu’s prominent position in online video, AT&T might see some big subscriber gains as well. If the project proved successful, then other content providers would be more likely to follow Hulu down this dark path. After all, if consumers are spending all of their mobile time on Hulu, they’re not watching Netflix(s nflx) or YouTube(s goog). This might sound like a great deal for consumers, and to a certain extent it is. Such a model could spur the online video revolution on mobile devices without decimating consumers’ wallets. But as I’ve pointed out before, there could be some big unintended consequences to such a model. It would upset the delicate balance of the mobile internet by favoring the video providers who can afford to pay over those who can’t.